Being a client centric firm we are into offering an exclusive range of Tube to Male Stud Metric Coupling. These are manufactured using premium quality raw material and advanced technology from the manufacturers end. 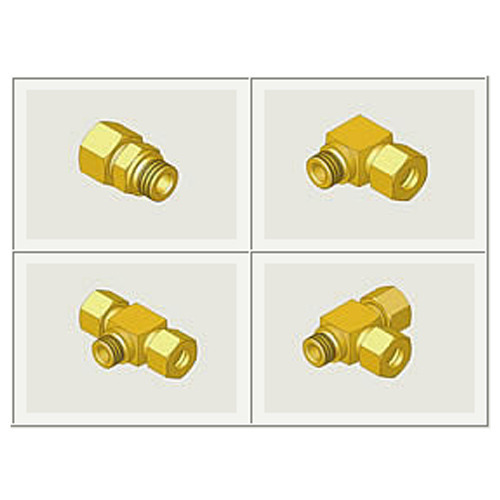 Offered couplings are highly appreciated among our clients due to their fine finishing, reliable nature and long life. We offer our products at reasonable rates. We, "Coimbatore Aeration Accessories", Established in the year of 1987 and carved a niche as the leading supplier, trader, exporter, trader & distributor of the wide rang of Hydraulic Products such as Hydraulic Radial Piston Pump, Hydraulic Hand Pumps, Hydraulic Gear Pumps, Powerpack Bell housings and many more. We make sure that the products we are offering comply with the specific norms. We select the known vendors of the industry, so that only flawless range is sourced and delivered to the clients. We lay down great emphasis over the quality of products offered by us and make sure that the products are sourced only from the renowned market vendors. We select our vendors after checking their past work record, quality of product offered by them, prices they are offering and many other similar points. we are export products in Shrilanka and Indian Subcontinent.